The Premier League kicks off in earnest, heralding a brand new season in European club football and bringing months of intense waiting to a very welcome end. 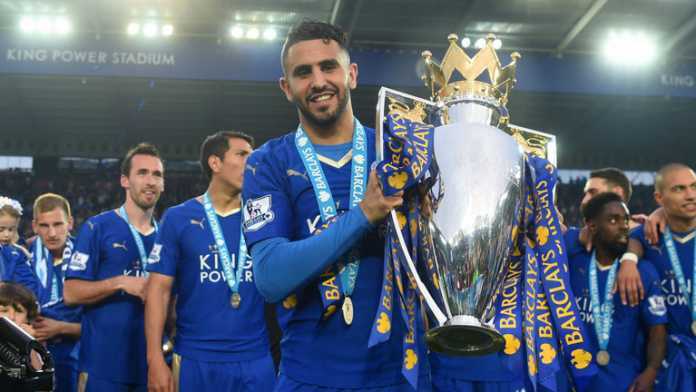 Last weekend, title holders Leicester fell to FA Cup holders, Manchester United at the Community Shield. While the whole world looks to see how they defend their title, not a lot of people expect them to handle the pressure together with their new continental responsibilities very well. But it is a new rebranded season for the Premier League and we bring you a new rebranded show which now includes betting tips and forecasts. Let’s go. Manchester City take on Sunderland at the Etihad in their first Premier League match on Saturday. Last season’s UCL semi-finalists will be looking for a bright start under their new manager Pep Guardiola and nowhere better to start than at home. They have won four of their last five encounters and though Sunderland have a new management of their own under David Moyes, I don’t see them making much impression in this one. Prediction: Manchester City to win with a good margin. Manchester United make a trip to the Vitality Stadium to take on a Bournemouth side they have only met twice in the Premier League. The spoils of their two previous meetings have been shared equally with each side winning one appease. But United look by far the better of both sides with a squad that have been improved with the acquisitions of a superstar manager as well as some superstar players. Prediction: Manchester still don’t look convincing enough to me. But they should win it. Injury-plagued Arsenal will entertain Liverpool at the Emirates in what would be the match of the week. Arsenal are in very terrible shape at the back with Mertesacker, Kolscieny and Gabriel out injured and have been looking to recruit an experienced defender in time. But they have lost only once to Liverpool in their last nine Premier League meetings and will be looking to keep it that way. Verdict: Arsenal’s defensive problems would haunt them in this one. I see a draw playing out. Chelsea will be looking to put last season’s disappointing campaign behind them as they host West Ham at in the first derby of the new season. West Ham haven’t beaten Chelsea at Stamford Bridge in their last ten attempts. Considering that Chelsea have gathered the most points on the opening day of every campaign (51), West Ham will be in for a run. Prediction: The best gift Chelsea could give their fans is a gift of hope. I think West Ham would match them though. I predict a draw. Dinamo Zagreb vs Inter Zapresic (Croatia). Home win. Rosenborg vs Sogndal (Norway). Home win.